This new school provides classroom space for 200 students and 38 staff. The 12,400 sq. 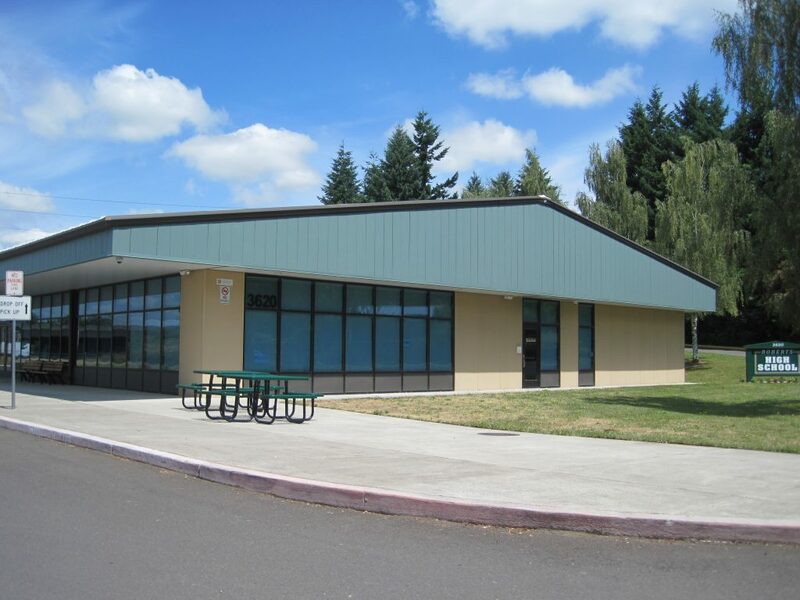 ft. building was designed to promote the unique atmosphere of an alternative school under a continually tightening budget and project constraints. The facility includes a half court gymnasium, art room, life skills kitchen and ten 750 sq. ft. classrooms. With careful balancing, the design team was able to provide a facility that includes air conditioning and an abundance of natural daylight in interior corridors with storefront systems.